It is, of course. National Baking Week. I try with baking, but it doesn’t generally respond to my advances. So here’s a kind of halfway house (using frozen pastry means it’s not really baking is it?) 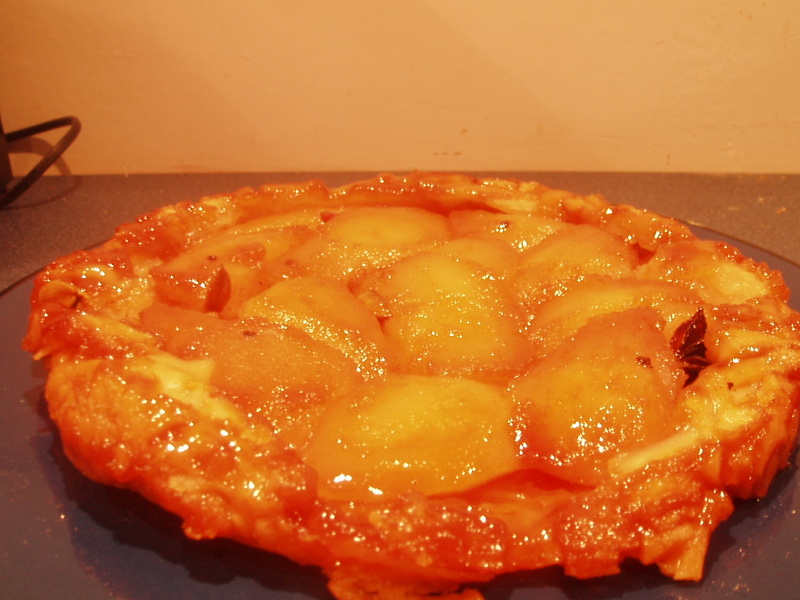 – a slightly spicy take on tarte tatin. I love this time of year for the arrival of autumn fruits, especially pears. And pears have a few wonderful partners – almonds most obviously, but I reckon cardamon is a fantastic complement. So, I adapted this not-especially traditional recipe from that big sweary chef. Serves four. Start off by peeeling and coring four pears and cut into quarters. Many recipes recommend comice as suitably firm-fleshed, but I prefer the flavour of Williams. Then make a flavoured syrup. This is an easy method though you have to keep your nerve in the middle because it looks like it’s going dreadfully wrong. Put 75g each of sugar and butter into a heavy frying pan and melt on medium heat along with three lightly crushed green cardamon pods. It’ll go a bit yucky but stay with it until the the sugar starts to caramelise and turn brown, stir lightly and eventually the butter separates leaving some sticky toffee. It might take take around 10 minutes. Then put the pears in, stir and bubble away for 15-20 minutes – the juice from the pears brings back the butter and toffee into the most gorgeous spiced syrup imaginable. I also put a star anise in at Big Sweary’s suggestion – who also uses cinnamon – but actually I think less is more on this occasion. When the pears have started to turn caramelise, let them cool slightly and put into a steep-sided round dish – about 8 to 10 inches. Rollout around 300 g of puff pastry to slightly larger than the base of the dish and then drape over the pears and syrup, tucking it under the fruit at the edges as if you were putting them to bed. Cook for around 30 mins at gas mark 5. Keep an eye on it and if there’s too much syrup/juice threatening to overwhelm the pastry, you can carefully decant some of it off halfway through. Once cooled enough, invert carefully onto a plate. Sweet, sticky, spicy – what more do you want? Best served warmish and with some good thick cream. Plans for some kind of food court in Leicester market have been run up the flagpole once or twice in recent years – now it seems someone has actually saluted. The Leicester Mercury reports the council is to go ahead with plans to create what they are currently calling a Food Piazza on the Western side of the market (over by Odeon Arcade). A section of roof will be removed and 20 stalls ‘gazebo-style’ stalls (don’t ask me…) created. As well as food there’ll be opportunities for arty-crafty student types to flog their wares. It seems the council has taken inspiration from markets in Barcelona, London and, erm Bury. Actually Bury does seems like the right kind of model. Let’s face it, chances of recreating La Boqueria, with Gallowtree Gate doubling as the Ramblas, are somewhat remote. I’ve not been to Bury – maybe someone can report – but Stuart Maconie sang the market’s praises in his book about the North (Pies and Prejudice) and that’s good enough for me. We may not have a meaningful streetfood tradition here – well, not beyond chippies and kebabs anyway – but anyone who has been to a music festival in recent years knows it’s perfectly possible to produce really rather exciting food from small, temporary kitchens. Let’s hope we get vendors with a bit of flair about them. This initiative appears separate from the plans to demolish and rebuild the indoor market (see my post from 23 March) but it seems to have the virtue of actually being going to happen soon. 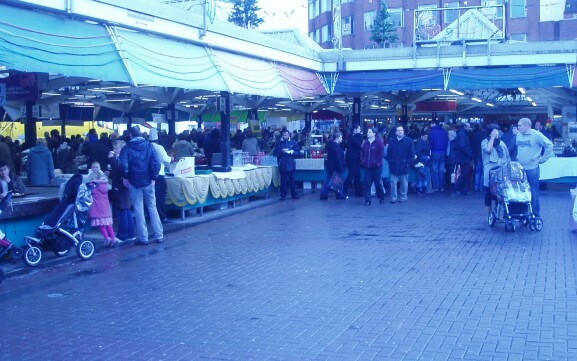 A consultation with market traders finishes next week and work could take place in January. I managed a swift trip out to Brooksby for the East Midlands Food Festival last Saturday, before rushing back to Leicester to witness the victorious dawn of the Eriksson era. The festival is always rewarding, though my impression was that it was slightly smaller this year. Some things continue to confuse, even irritate – exotically flavoured coffees are a personal no-no – while others draw me back like the proverbial moth. One day I’ll be able to walk past Mr Pitchfork’s pickles without stopping to fill up, but that day is nowhere near yet. 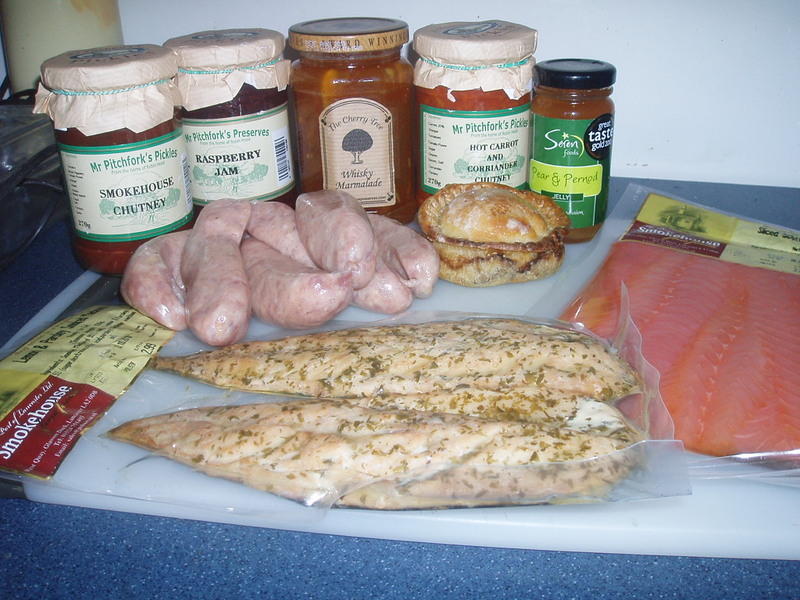 The Grasmere Farm pork,cider and apple sausages were absolutely marvellous – excellent texture and balance of sweet and savoury – and I’m looking forward to experimenting with the pear and pernod jelly from Seren Foods. The chocolates and macaroons from Nottingham-based Wildberry were far too gorgeous to last until a photo could be taken. One of the rewarding things about the event is the chance to talk with producers, chefs, writers and others passionate about food. So here’s a few plugs I promised to nice people I met – the Smeeton Westerby-based Bridge 67 cookery school has an open day on this Thursday from 3-9pm if you’re free, where you can learn about their newly extended facilities and range of courses. 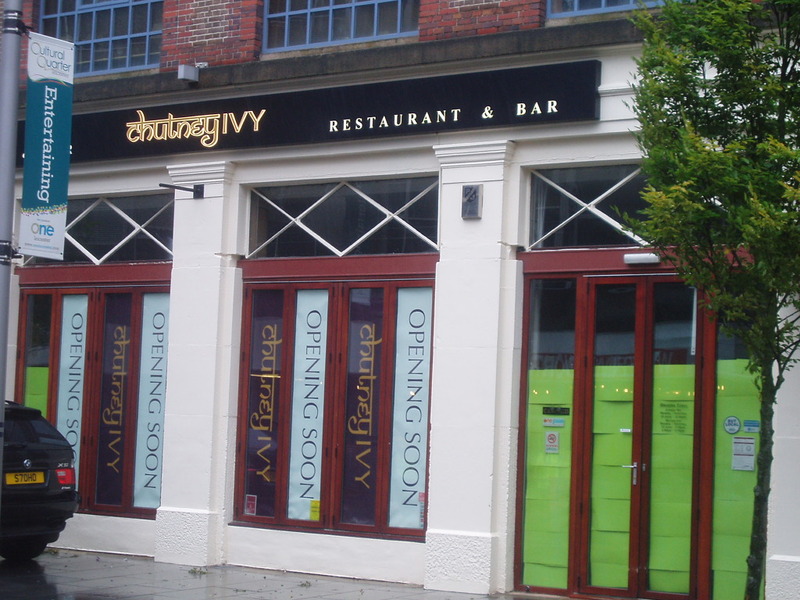 If you eat out regularly around the UK it is worth having a think about The Gourmet Society – this discount scheme which started in the East Midlands now operates around the UK and has two for one and 25 per cent off deals at thousands of restaurants including a good few that you would actually want to go to. And I’ve told you about Great Food Leicestershire and Rutland before but there’s no harm in a gentle reminder. I assume most readers are based in Leicestershire, but don’t let that stop you entering this rather lovely competition from the Guardian – or passing on to your loved ones not lucky enough to be in the East Midlands: Foodie Break. For those not wanting or unable to click through, this offers the chance for UK residents to win a short break at Scalford Hall near Melton Mowbray and enjoy lunch and a cookery demonstration by Michelin-starred Sean Hope at his Red Lion pub in Stathern. Deadline is 15 October. And for those of you are in the area, don’t forget it’s the East Midlands Food and Drink Festival at Brooksby Hall this weekend. A great day out but looks like it might be worth taking wellies.